Each year, our nation marks Memorial Day with a parades, picnics and political speeches. Synonymous with the end of school and the beginning of summer, the origins of the holiday are obscure, with more than two dozen U.S. cities claiming to have begun the tradition. 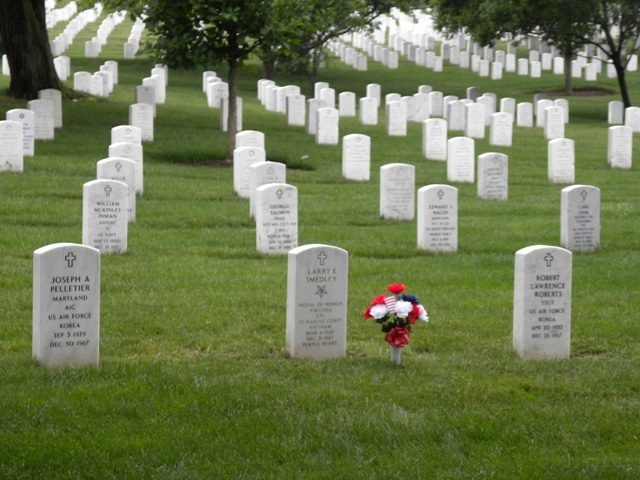 Unlike Veteran’s Day, which honors all who served, Memorial Day honors members of the armed service who died in the service of their country. As a union with many veterans, the IAM marks Memorial Day and Veterans Day with equal respect for the men and women who stepped forward and in effect wrote a blank check to their country, to be cashed whenever and for whatever amount the country deems necessary. It is now customary to greet service members in uniform with a heartfelt “thank you for your service.” While there is no such greeting for the soldiers, sailors, airmen and Marines who gave what Abraham Lincoln called “the last full measure of devotion,” there are fitting ways to recall their lives and their sacrifice. This year, in his Memorial Day proclamation, President Obama asked the nation to observe a National Moment of Remembrance at 3:00 p.m. local time. I would ask that the moment include thoughts not only for the fallen, but for all the families who must carry the burden of a lost loved one with them every day of the year.